Product prices and availability are accurate as of 2019-04-07 08:02:23 EDT and are subject to change. Any price and availability information displayed on http://www.amazon.com/ at the time of purchase will apply to the purchase of this product. Storage backup: transfer photos, movies, music, and files between SD cards, USB flash drives, external hard drives and your devices including your phone, tablet, and laptop. PR-WD07 equipped with both 2.4GHz (improved long-range performance) and 5GHz (faster speed) wireless bands. 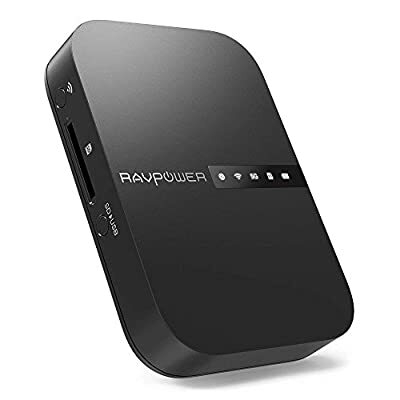 Instantly converts a wired network to wireless with Super-fast speeds of up to 433 Mbps Wi-Fi over 802.11ac and 300 Mbps on 802.11n connections.